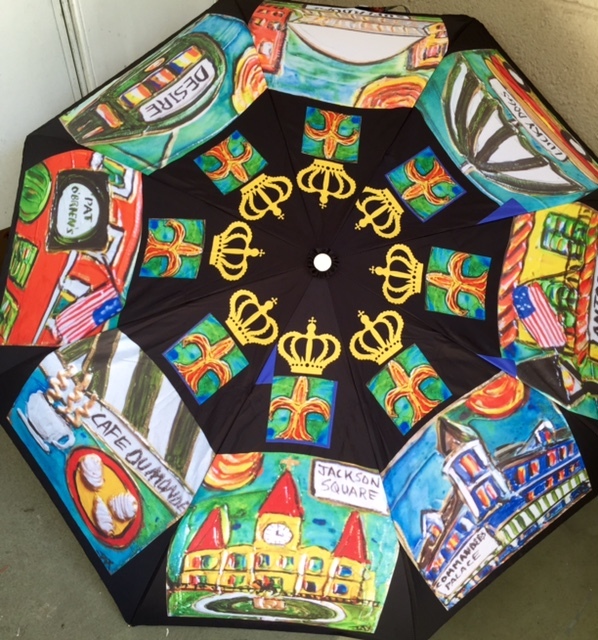 NOLA Love umbrella - with Port of Call, Fat Harry's Court of two Sisters, Rock N Bowl and Liuzzas - a local's favorite! 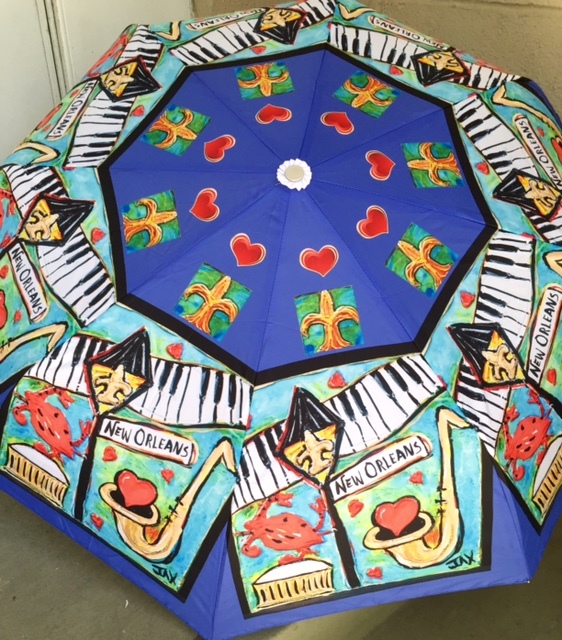 New Orleans Umbrella - Fleur de lis, Keyboard, Saxaphone, Superdome, Crab and Lampost sign. 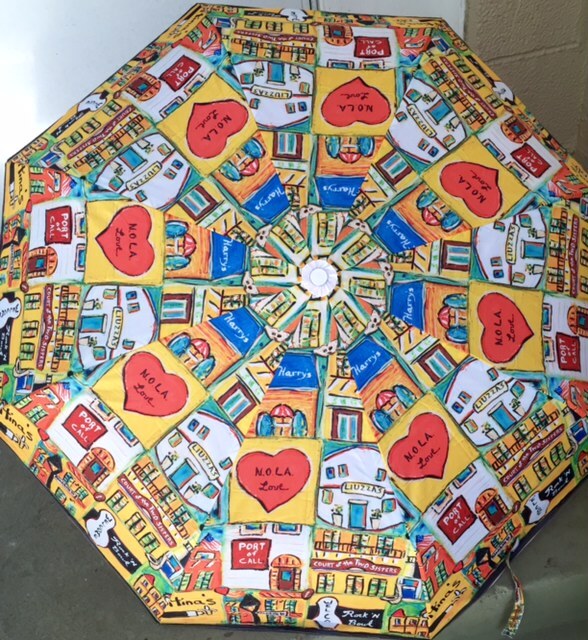 Truly a one-of-a-kind gift for the New Orleans lover! 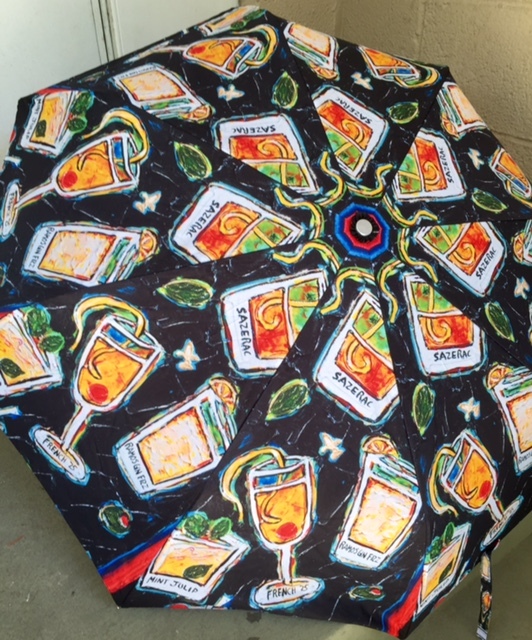 Polyester fabric, telescoping handles and printed slip covers.